From everyone in Rosie’s house cleaning team, we wish you a happy July 4th. Get a $250 gift certificate for only $200. Must purchase between now and July 6th. Independence Day is an event that merits monumental celebration, and I don’t think anyone will be disappointed. In probably the biggest – and loudest – party of the entire year, it’s important to reflect and remember what it is we’re really celebrating: the passion, bravery and daring of our ancestors who committed treason to break free from the British and establish the United States of America as a free nation. With that in mind, we’re doing what we can to recognize their efforts and offering a special July 4th gift certificate at a discount – available to absolutely everyone, we’re giving a little back to our great community by discounting the wide range of fantastic cleaning and tidying services we have to offer. If you’re planning to throw that huge July 4th celebration in your home – or even just getting the family round for a quiet evening in – then why not combine the two and have us make your home shine and sparkle for the event? The Census Bureau reports that summer is the most popular time to move, and we love helping families settle into their new homes. Often times we get requests for moving companies in Santa Barbara. Whether you are changing jobs or military assignments, moving to a new school district, upgrading, or downsizing, you might need the help of residential movers. 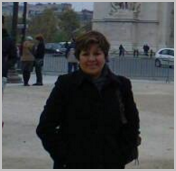 Hazelwood Allied is a trustworthy Santa Barbara moving company worth calling. They have been operating continuously in Santa Barbara for over 98 years and they specialize in moving high value art and electronics. We’d like to send you our best wishes for a glorious Independence Day. Let freedom ring! We wish you a wonderful holiday with your family and loved ones. Thank YOU for helping us become the #1 Cleaning Company in Santa Barbara. Q: Do you offer any services beyond basic cleaning and tidying? A: Absolutely. 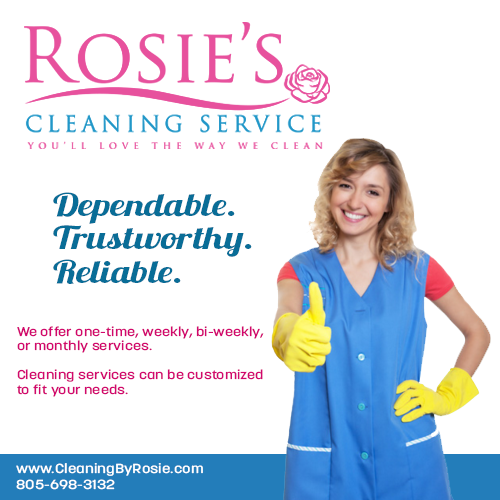 At Rosie’s, we can do work on the exterior of your home, stock your fridge and do the grocery shopping, help prepare for your parties; if you need a service in the home, we can probably provide it for you. Just get in touch and we can discuss it at length. Q: What special offers do you run? A: As well as the current July 4th special, we are always offering new and exciting deals to you all. If you enter your email address on the website, we will send you promotions and offers whenever they become available! Q: Why should I hire a maid service? A: If you contract us for regular cleaning, you’ll always be coming home to a clean and happy home. Our maids offer over two decades of experience in the cleaning industry, so you’ll always be assured of top quality and reasonable prices. Imagine what you could do with all that extra time not spent cleaning! Santa BarbaraCA.com – It’s always a good idea to see what John Dickson has to say on his Santa Barbara events and festivals guide. You’ll find a comprehensive list of some of the best 4th of July events in Santa Barbara there. Live Oak Music Festival: held over July 4th weekend, this is a natural and earthy folk music event which is sure to please everyone. Described as a “medley of camping, concerts, crafts, food and drinks”, it’s not to be missed. For information, contact Live Oak at info@liveoakfest.org or via phone at (805) 781-3030. Beyond 2o: there is a theory that if the global temperature increases by 2 degrees centigrade that we’ll have caused irreparable damage to the planet. This contemporary art show explores this possibility through fascinating creations at the museum of contemporary art. Goleta Fireworks Festival – This event occurs in the city of Goleta, CA, minutes north of Santa Barbara. This annual event is held in Girsh Park, 7050 Phelps Rd, behind Camino Real Marketplace in the city of Goleta. The festival runs 4pm-9:30pm and includes live musical entertainment. Activities for kids include inflatable jumpers, face painting and much more. Great food & beverages are a prelude to a spectacular fireworks display at 9pm. Tickets are available at the gate of the event. The festival is a family-friendly, alcohol-free event. Puja and Piety: if you’re feeling cultured this summer, you should definitely make the trip to Puja and Piety: Hindu, Jain, and Buddhist Art from the Indian Subcontinent. This South African artwork display presents physical artefacts from the past two millennia, collected from temples, festivals and roadside shrines. New Beginnings Anger Management Classes: for many of us, July 4th is a day of reconciliation. If yours is a turbulent relationship, maybe now is the time to recognize that and take steps to improve it. This 12-week course will help guide you and strengthen your bond with family and friends between whom a void may have begun to form. The Maltese Falcon: start the Independence Day weekend the right way by visiting this free summer cinema piece. A mixture of mystery, romance and thrill, this black and white classic is not to be missed. Check out the website for all the details on how to pay and where to go – enjoy your movie! Blush Restaurant Downtown: Blush will be having a 4th of July party in downtown Santa Barbara. Blush is a cozy restaurant and lounge that will be open from noon until 10:00 p.m. You and your guests can sit back and relax while their chefs do all the cooking. Butterflies Alive: make the most of the summer sunshine by visiting the luscious gardens of the museum of natural history. With over 1,000 different butterflies whizzing around, this is a delightful treat for the eyes. Just show up to the museum, no booking required! Sammy’s wine tours is a great way to spend some quality time with friends and family over the 4th of July weekend. Santa Barbara and Santa Ynez are home to some of the best wineries in California. Qui Si Bella Spa is running a 4th of July special for their day spa and massage services. Take your family and friends to the spa and reminisce while getting a mani / pedi! 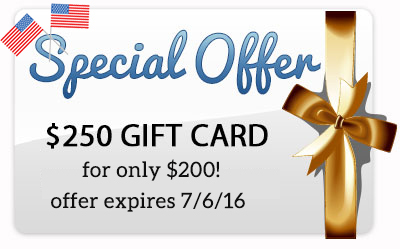 Save $50 when you purchase a $250 gift card to CleaningByRosie.com from now until 7/6/16. This means you will get $250 worth of credit for only $200. CALL 805-698-3132 to take advantage of this offer before it expires. Limit one per household.